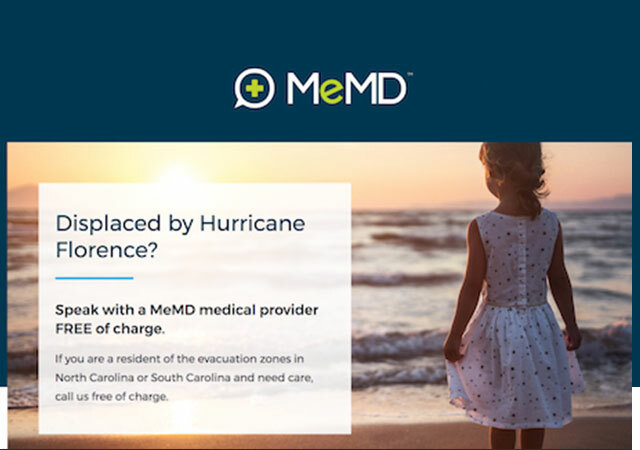 SCOTTSDALE, Ariz. (Sept. 17, 2018) – In an effort to provide assistance and relief to individuals and families displaced by Hurricane Florence, national telehealth provider MeMD is offering free urgent care visits for common and non-life-threatening illnesses and injuries through the end of September. “We know people are facing incredible devastation right now and easy phone access to a medical provider is a significant need. With providers in all 50 states, we’re grateful that we’re in a position to help,” said MeMD President Glenn Dean. Residents of South Carolina and North Carolina simply need to call 844-399-5341 and provide the care coordinator with the code “FLORENCE” to start a visit with a board-certified, state-licensed medical provider. Free telehealth visits have been extended to all residents until Sunday, Sept. 30. Services are available 24/7. Additional details can be found at https://go.memd.me/hurricane-florence. 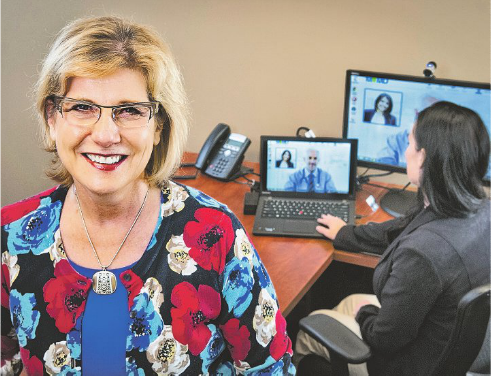 Common illnesses and injuries that can be treated over the phone include allergies, cold, flu, respiratory infections, sprains, strains, cuts, dehydration and more. When medically necessary, providers can e-prescribe medications to the patient’s pharmacy of choice.